Potos is a wonderful town on the southern coast of the island located 45 km away from Thassos Town and 28 km from the port of Skala Prinos. In summer the town is a popular holiday destination for tourists, especially younger ones. It is very crowded in summer, narrow streets are lined with shops and snack bars, and after a long day at the beach, tourists fill the streets and sidewalks to go shopping and to find a place that will relax and enjoy a drink, to eat in one of the many restaurants or taverns, but also to party until the middle of the night. 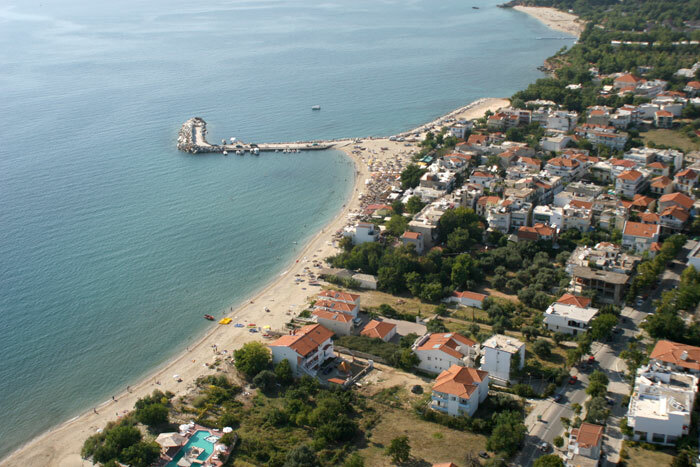 The city is located near a very long sandy beach, clear water is fantastic for swimming and water sports. Along the beach you will find the fishing port, a chain of cafes, bars, restaurants, ice cream parlors and nightclubs. It is a very lively city by day and vibrant at night. Tourists return to this city each year with pleasure.